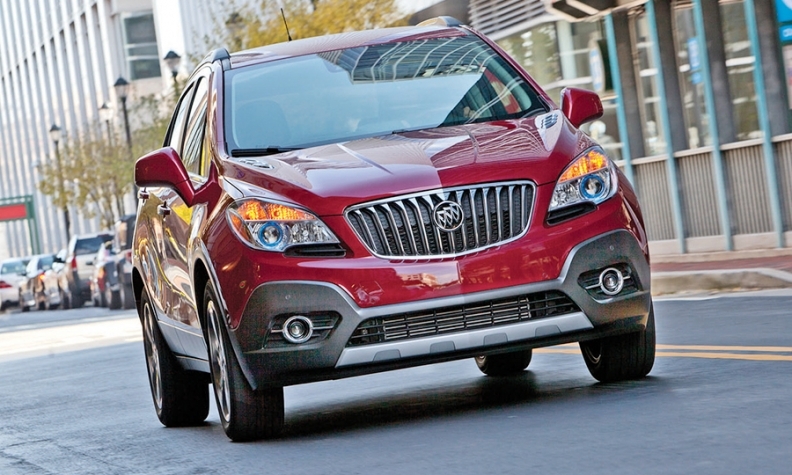 The Buick Encore launched in 2013. Now, the competition is arriving. SAN FRANCISCO -- General Motors is sharply boosting Buick Encore production for the U.S., a bet that the petite crossover will continue to sell big despite a slew of coming rivals. GM has expanded production capacity to lift U.S. Encore supply by roughly 50 percent, diverting more of them from assembly plants across three continents, Buick-GMC Vice President Duncan Aldred said last month in an interview on the sidelines of the National Automobile Dealers Association convention. The Encore's success is validation of a gamble by GM two years ago to be among the first automakers to introduce a subcompact crossover to the U.S. But juicing production represents another big bet as several competitors prepare to join the segment, including the Honda HR-V, Mazda CX-3 and Jeep Renegade, along with the Chevrolet Trax from Buick's sibling brand. 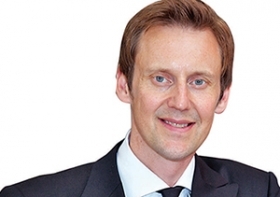 Aldred wants to capitalize on the Encore's sizable head start. He expects the Encore to emerge as Buick's top-selling nameplate this year, even after sales surged 53 percent last year to 48,892, putting it at No. 3 in the lineup behind the Enclave large crossover (62,300) and the LaCrosse sedan (51,468). "I've stuck my neck out to get more Encores, because if you haven't got them, you're not going to sell them," Aldred said. Duncan Aldred: "I've stuck my neck out to get more Encores, because if you haven't got them, you're not going to sell them." Aldred believes that small-crossover sales will be insulated from low gasoline prices, unlike small cars. The segment, he said, "is only going to go one way." Encore sales have blown past industry expectations and surprised GM, which launched it in early 2013. Back then, IHS Automotive predicted sales of nearly 25,000 for 2015 -- about half of last year's tally. GM makes the Encore and its sibling, the Opel Mokka, at assembly plants in Mexico, Korea and Spain. U.S. dealers say that makes it tricky to secure a steady supply of them. There's typically a four-month lag from the time dealerships order Encores to when they're delivered, roughly double that of a U.S.-built car, dealers say. Keith Hudson, dealer principal at Jim Hudson Buick-GMC-Cadillac in Columbia, S.C., says the Encore tends to draw traditional import buyers. He says the sweet spot is people ages 45 to 65, often downsizing empty nesters. "We could sell more if we received more," Hudson says. "People love the vehicle." Despite the proliferation of competitors, the Encore still will occupy a slice of the segment priced above the HR-V, Trax and other mainstream entries and below luxury models such as the Audi Q3, IHS analyst Stephanie Brinley says. Still, Buick "will need to work harder to keep the Encore on shoppers' consideration lists," Brinley says, "as the newer and shinier entries tend to get more attention."